Welcome to all our new first year students. We're delighted that you have chosen to come and study in NUI Galway and we will do everything we can to help you be successful in your studies. We would like to take this opportunity to welcome all NUI Galway students, both new and returning, to the Library. We're delighted that you have chosen to come and study in NUIG and we will do everything we can to help you be successful in your studies. The Library provides training on a variety of topics - all designed to help you gain the skills of finding, evaluating and using information more efficiently. Please visit our Training page, to find details of what we have to offer, to help you with your studies. Essential training for all students - in just 30 minutes you will learn how to find your way around the Library, what services are available and how to find the books you need in the Library. You will be shown how to search the library's catalogue to find out if the library has the books or journals you need. You'll also be given a short tour of the library, so that you can learn how to find the books on the shelves. No booking required - this is a drop in session. No need to book - Just Drop In! Scopus will soon be discontinuing support of its product on IE8, please see message below. It's unlikely you will have to make changes, as most machines in NUI Galway run a more recent version of Internet Explorer. Why are we ceasing support of IE8? We are following Microsoft’s directive to focus our support on newer, officially-supported IE browser versions. Microsoft announced in 2014 it would only support the most recent IE browser version with technical support and security updates. We strongly encourage our customers to also follow Microsoft’s directive by updating to more recent versions of IE or by using other supported browsers. When the poor tired child, passion, falls asleep. 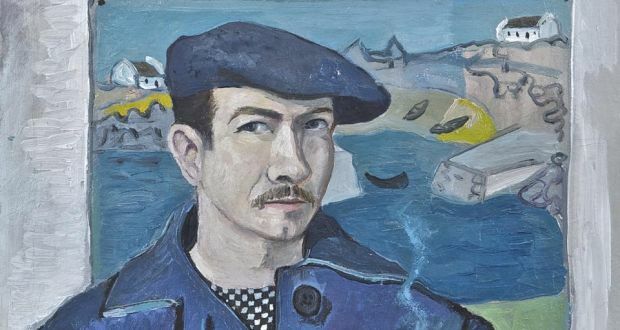 The artist Gerard Dillon was born in Belfast in April 1916 and grew up there, until moving to London in 1934 where he worked a house painter while honing his craft and trying to further his career as an artist. Despite being reared and working in the early years of his life in the urban streetscapes of Belfast, Dublin and London, it was the west of Ireland, most especially Connemara and the western islands which would have a major and lasting effect and influence on his work. Dillon would spend the year of 1950-1951 living and painting on the island of Inislacken. Over the next decade Dillon would receive substantial international recognition for his expressionism steeped in western culture and imagery. 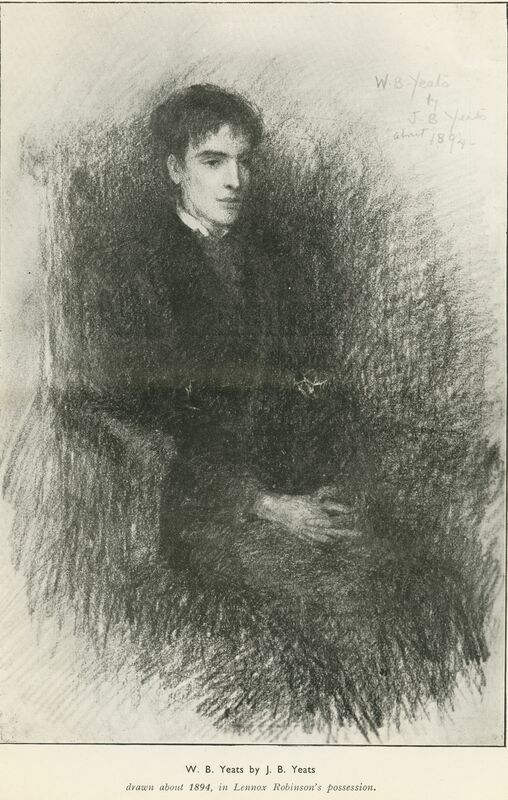 Gerard Dillon by George Campbell (c) Mrs Joyce Cooper. 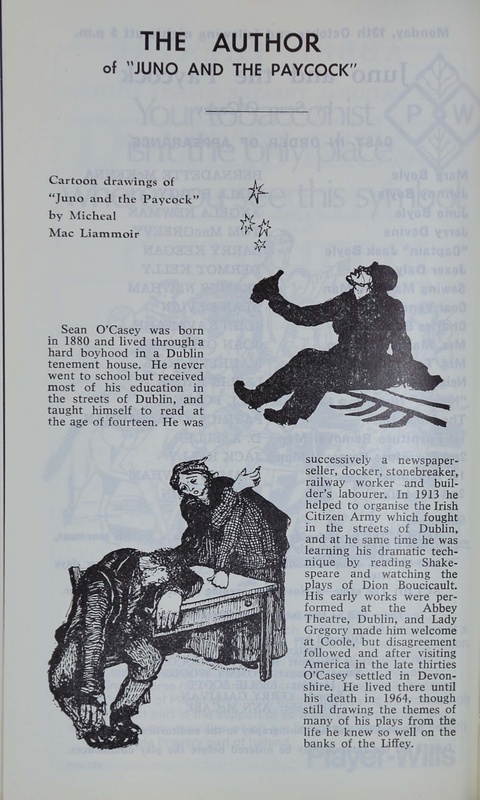 The programme also contains cartoon drawings of characters from the play including Juno and Captain Boyle by Micheal MacLiammóir. Other similar artwork by MacLiammóir can be seen in the exhibition in the bookplate he designed for the personal library of actor and director Arthur Shields, examples of which are on display in the exhibition cabinets. 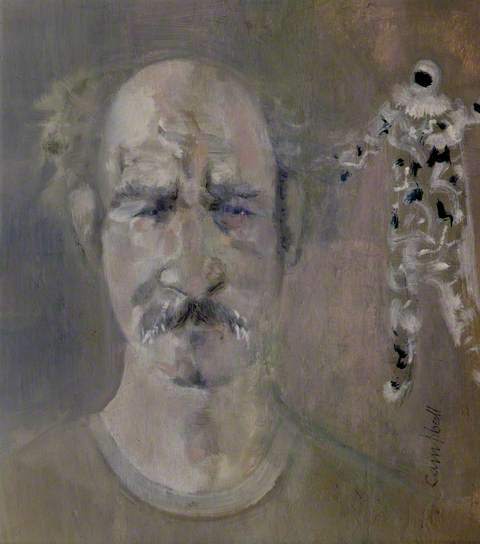 As central part of Yeats & the West, the painting ‘The Moon Worshipper’ by Gerard Dillon is on public exhibition for the very first time at the Special Collections Reading Room. Dating from 1948, the painting, in oils on sturdy wood panel, is a wonderful example from a series of moonscapes over Connemara inspired, according to the artist, by a walk home after a late night in Roundstone. Preparing ‘The Moon Worshipper’ for hanging. 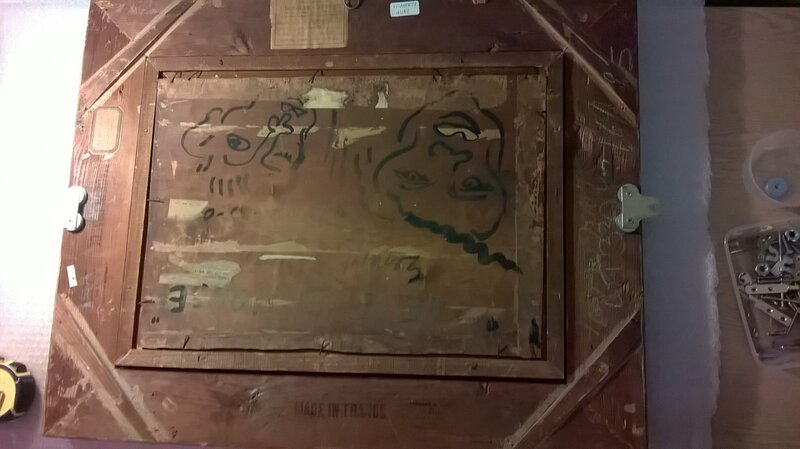 The reverse of the panel has been decorated with outline faces. With the style deliberately primitivist, and the woman wearing one of the red traditional Connemara costumes noted by Synge, the picture’s central enthusiast perhaps wrily recalls the impassioned western pilgrimages of so many artists and writers. The exhibition curators gratefully acknowledge the loan of the painting for the duration of the exhibition, which is open until Christmas at the Hardiman Research Building, NUI Galway. Getting Started in the Library - Drop In Workshop! Essential training for all new students - in just 30 minutes you will learn how to find your way around the Library, what services are available and how to find the books you need in the Library. Online Registration (Quercus Web Portal) is currently unavailable. ISS are working to resolve this issue as a priority and we apologise for the inconvenience caused. If you have any queries, please contact the Service Desk (Tel. x5777 Email servicedesk@nuigalway.ie). On Sunday, 23rd of August from 07:00 to 15:00, the following Library services will be unavailable in order to facilitate necessary maintenance. Refurbishment work at the Medical Library, Clinical Sciences Institute, is now complete and the Library will re-open on Monday 17th August. Some of the newly integrated spaces have yet to be fitted out, and this work will be completed before the start of the School of Medicine academic year at the end of August. 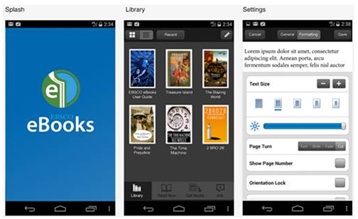 The EBSCO eBooks app enables easy discovery and simple download capabilities from your library collection to any mobile device, and a best-in-class reading experience.